Boyz R Gross Double Applique Alphabet - 4 Sizes! This set comes with upper and lower case letters in 4 sizes. 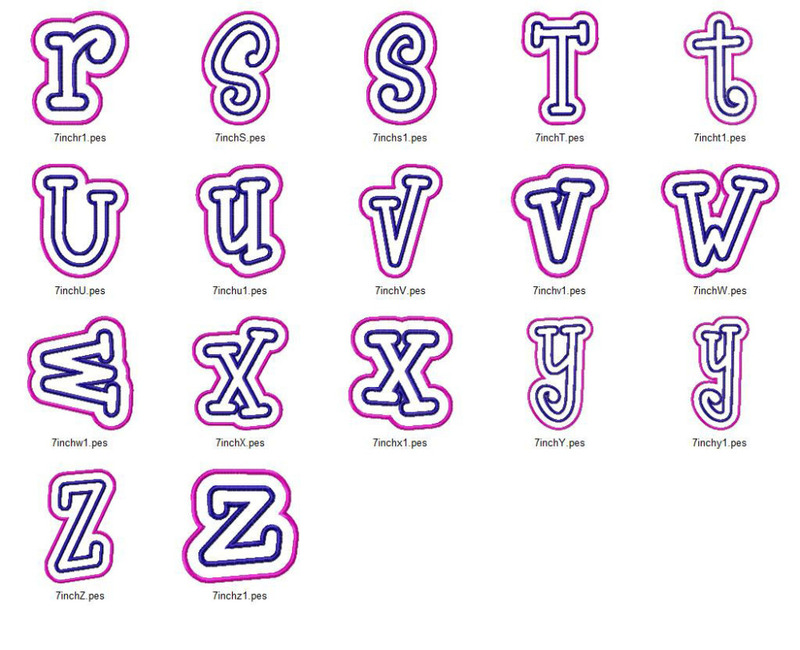 Each letter is a double layer applique design. The size and stitch counts listed below are for the upper case A in each size. Alexander Embroidery Alphabet - 3 Sizes! Athletic Block Embroidery Font - 3 Sizes! Boys Stacked Monogram - 3 Sizes! Medium Vintage Stitch Billow Alphabet - 3 Sizes! Finish Size 2.45" x 3.20"
Finish Size 3.46" x 4.54"
Finish Size 4.13" x 5.43"
Finish Size 4.81" x 6.31"